Parathyroid scintigraphy using 99mTc-MIBI is not currently considered a valuable diagnostic tool for the localization of involved glands in patients with secondary hyperparathyroidism (SHPT). However, published data about its diagnostic accuracy are discordant and a meta-analysis about this topic is still lacking. The aim of our study is to meta-analyze the published data about the diagnostic performance of 99mTc-MIBI parathyroid scintigraphy in patients with SHPT. 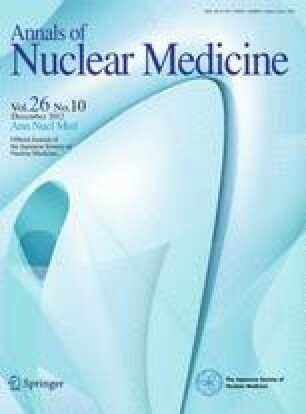 A comprehensive computer literature search of studies published in PubMed/MEDLINE, Scopus and Embase databases through September 2011 and regarding the diagnostic accuracy of 99mTc-MIBI parathyroid scintigraphy in patients with SHPT was carried out. Only articles in English language in which at least 10 patients with SHPT underwent planar 99mTc-MIBI parathyroid scintigraphy were selected. Pooled sensitivity, pooled specificity and area under the ROC curve on a per lesion-based analysis were calculated to measure the diagnostic accuracy of 99mTc-MIBI parathyroid scintigraphy in SHPT patients. Twenty-four studies comprising 471 patients were included in this meta-analysis. The pooled sensitivity and specificity of 99mTc-MIBI parathyroid scintigraphy in detecting hyperplastic glands in SHPT patients were 58 % [95 % confidence interval (95 % CI) 52–65 %] and 93 % (95 % CI 85–100 %), respectively, on a per lesion-based analysis. Area under ROC curve was 0.75. In patients with SHPT and diffuse or nodular hyperplasia, planar parathyroid scintigraphy using 99mTc-MIBI has demonstrated an inadequate diagnostic accuracy. Therefore, it should not be considered as a first-line diagnostic imaging method in the pre-surgical detection of hyperplastic parathyroid glands.